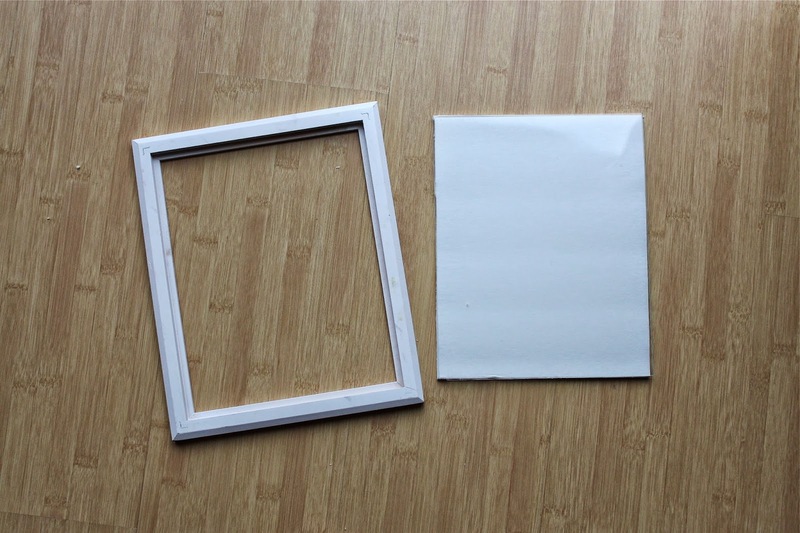 Take the frame apart and use the glass to trace and cut your cardboard. 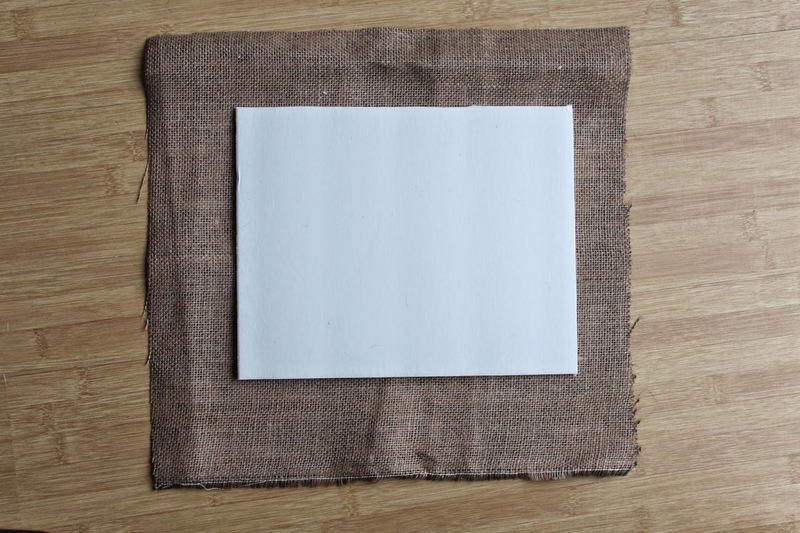 Cut your burlap to be a few inches larger than the cardboard. 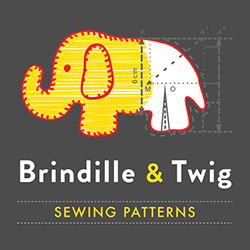 Fold over the edges and glue in place. Trim any excess. 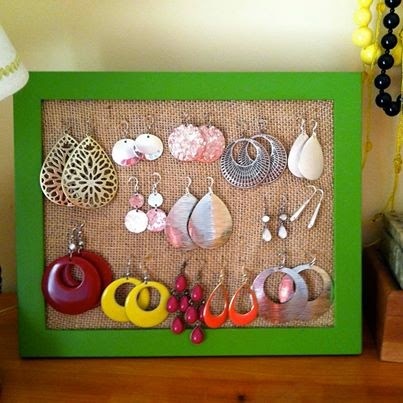 put the burlap covered cardboard back into the frame and start hanging your earrings. 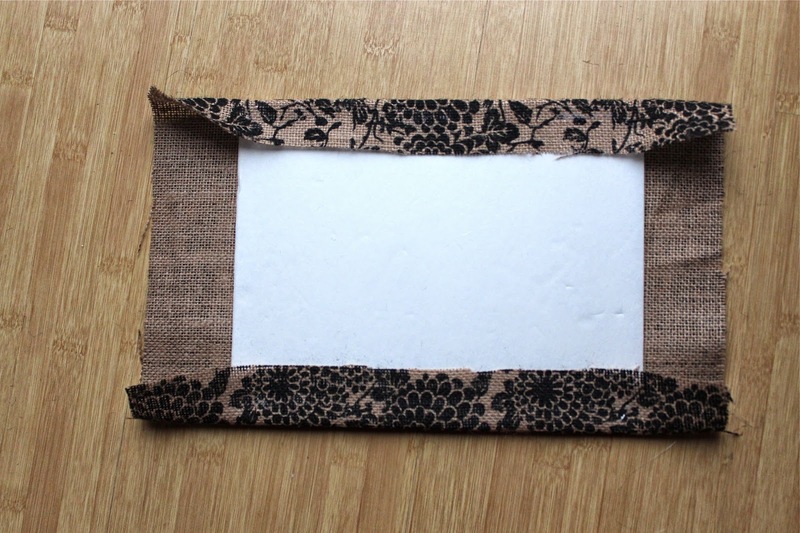 If you follow me on Facebook then you saw the earring frame I made for myself back in January. Now you can make one for yourself, your mom, your sister....all the earring lovers in your life!